You´ve already been training Krav Maga for a while or lots of years of Martial Arts experiences and now you are ready to undertake a responsible task and share your knowledge with others? We want YOU as an instructor then! 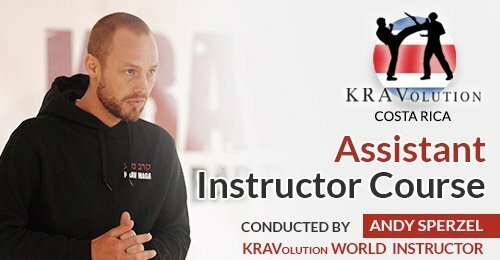 The Assistant Instructor Course is the first step for your Krav Maga Instructor career. The Course will be conducted by KRAVolution World Team Instructor Andy which is one of our expirenced teachers and hosted by Costa Rica Country Manager Lennin. After successfull passing the Course you will earn a Diploma to certifiy your performance!